"The Necessity Of A Pure Heart"
The Oberlin Female Moral Reform Society, founded in 1835, was one of the largest in the nation. With 380 members by 1840, the Society worked to promote the interests, improve the wellbeing, and expand the agency of women in their town.1 While many of the concerns addressed by female reformers centered on what they called "licentiousness," a broad term used to describe a range of sexual aggressions and improprieties committed against women, the Society also created a unique space in which its members could speak openly about the changing role of women in society. Archival records of the Oberlin Female Reform Society exist solely in the form of the organization's minute book, which covers the period from 1835 to 1857. Although many prominent Oberlin women held leadership roles within the Society, the notes in the minute book do not reflect one dominant voice. Rather, the entries report a broad range of activities and opinions, including the Society's annual meetings, presentations of visiting speakers, and the reading of moral reform papers. This variety in reporting provides a composite summary of the organization's goals and strategies. Thus, as a primary source, the minute book provides valuable insight into how Oberlin's female reformers utilized the era's politics of respectability to assert their agency. Other female moral reform societies across the country shared this attitude; however they saw women largely as reform placeholders until "the husbands and fathers and sons [...] come up to this work with the noble spirit they evince in other labors of Christian philanthropy. "5 What set the Oberlin Female Moral Reform Society apart was its prioritization of female leadership and autonomy coupled with its emphasis on the role of women as archetypes of moral virtue. 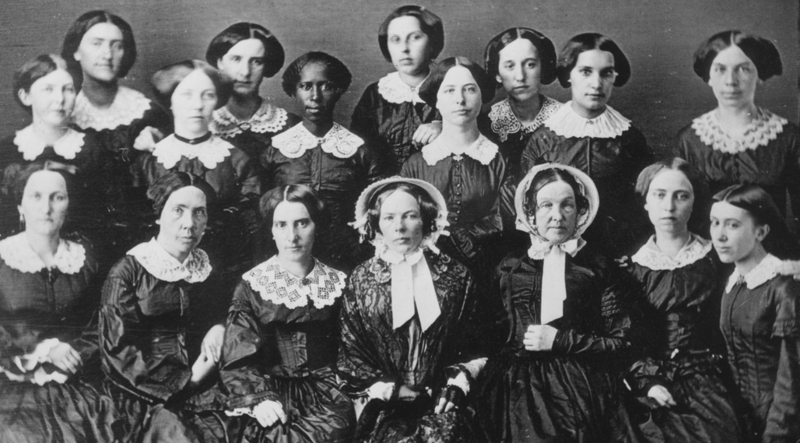 The platform of the Oberlin society represents a broader tactic of women's organizations and thinkers during the antebellum era. By advocating for women's rights while simultaneously maintaining a framework of Christian morality and respectability, women were able to critically address injustices without being chastised for transgressing normative gender expectations. Lori D. Ginzberg, "The 'Joint Education of the Sexes': Oberlin's Original Vision," in Educating Men and Women Together, ed. Carol Lasser, (Urbana: University of Illinois Press, 1987), 72. Mary Wollstonecraft, A Vindication of the Rights of Women (London, W. Scott, 1892, originally published 1792). Female Moral Reform Society of the City of New York, Report at the First Annual Meeting of the New York Female Moral Reform Society, May 15, 1835 (New York: William Newell, 1835), as reproduced in Carol Lasser and Stacey Robinson, Antebellum Women (Lanham: Rowman and Littlefield Publishers, 2010), 134-135.